Hey guess what! Gaudete is about to present our second offering on January 20, 7 pm, at the Althea Center in Denver. As always, there is no ticket required (although your donation to help support the choir is always gratefully accepted). The theme for this offering is Carry Me Home, involving music that gently explores the concept of death. When we think of death, we often think of fear and pain and loss. This music approaches death from a different angle – that of a continuing journey toward the home from which we originally came. Rather than inducing terror or prolonging grief, this music instead explores death as a final comfort or, even more, as a homecoming bringing blessed rest at the end of life. It’s almost the end of October! With Halloween less than a week away, the chilly days and deepening dark of November are nearly upon us, and the quick slide into the winter holiday season will begin. What better time to kindle a fire of sacred music that evokes faith and community with one another? To that end, Gaudete is preparing for our very first offering, which will take place on November 18, 2018 at 7 pm at the Althea Center in Denver. The performance, conducted by our music director, David Bell, will set the precedent for Gaudete’s ongoing, monthly offerings of music through sacred chant, hymns, and anthems–including a mass movement by Schubert, a Russian Orthodox meditation on communion, and a haunting piece about faith set to writing found on a concentration camp wall. There will also be a few instrumental pieces played by our wonderful accompanist, Kris Wittry (watch this space–we’ll post more about Kris soon!). All this comes together to bring you approximately 40 minutes of sacred music without the church. You don’t need to be religious–just come on down to share in this performance to close your weekend and prepare for the holiday season, refreshing your mind, body, and spirit through a community experience of uplifting, thoughtful, stimulating, and meditative music. We rehearse on Thursday evenings, 7-9 pm with our first rehearsal on Thursday, Oct. 11th, and our first public offering is Sunday, Nov. 18th at 7pm. 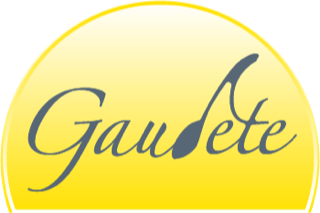 Gaudete is starting out as a dues-based choir, with hopes of achieving a donor base and non-profit status; For more information or to schedule an audition, contact the director, David Bell, at info@gaudetesingers.org or 720-384-3712. Do you know that our soul is composed of harmony?